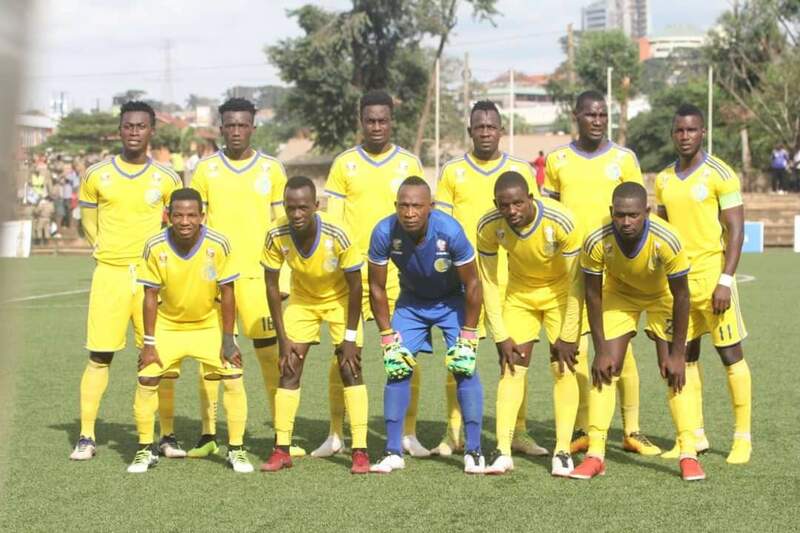 NAMBOOLE – Bright Stars held SC Villa to a 1-1 draw in the only StarTimes Uganda Premier League game played on Wednesday. In thw game played at Namboole, League top scorer Bashir Mutanda put the host ahead but his goal was canceled out by Alfred Onek. At the start, both sides played cautiously with neither wanting to commit numbers upfront. Stars’ Captain Nelson Ssenkatuka got the first real chance of the game but could not beat Saidi Keni while in a one on one situation. With a half that was dominated with little goal mouth action, Mutanda broke the deadlock, beating and offside trap and slotting in home for his 11 goal of the season. However, Onek leveled matter threw minutes later to ensure that both sides go into the break at level terms. In the second half, Villa tactician Douglas Bamweyana made a double substitution that saw Pius Wangi and Joseph Semujju come on for Ronald Magwali and Ibrahim Mugurusi as the record champions went all out for a second goal. Stars who went into the game on a 7 game winless ran decided to settle for a point as they sat back, soaked the pressure and try to hit Villa on the counter. Their tactic may have paid off with a second goal but Ssenkatuka squandered two more glorious opportunities as he failed to beat Keni from promising positions. Villa came close to winning it on 68 minutes but Mutanda was judged to have been in an offside position when he turned in Ssemuju’s pin-point accurate cross. The draw means that Villa move into 12th on the standings with 15 points, level with Maroons (13th). For Bright Stars, they are now 9th with 21 points from 17 games. Fred Kajoba’s side have now gone eight games on the bounce without victory since beating Paidha Black Angels 3-0 on December 1st. Villa’s next assignment is an away fixture against reigning Champions Vipers SC on Saturday while Bright Stars host KCCA FC on the same day.